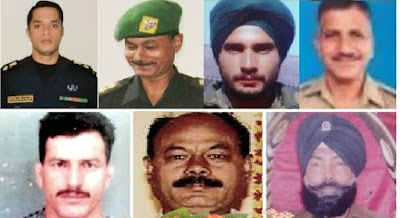 Home / braverhearts / heroes / indian army / indian air force / pathankot attack / sacrifice / soldiers / valour / Heroes: Pathankot attack - Because they were just 7 "soldiers"
The nation behaved like nothing happened. The flags didn`t change as with the Eiffel, nor did the nation seemed too concerned for we connect more with terror thousands of miles away than the one within. The nation mourned with the dead boy washed ashore in turkey more instantaneously than they did with the martyrs. Because they were just 7 soldiers. The nation became angry over food, nobody cared about the home which will not cook for days in mourning of the loss of a loved one. Awards were returned over intolerance because personal freedom was curbed, none returned over the sacrifice of the martyrs, coz we still lived nevertheless. We cried about the inconvenience of 2 numbers for some days, these bravehearts never complained ever, just did their duty. Some felt scared to live in the country, ready to flee to another land, nor did they for once think about these saviours who make this “ hell” worth living. For they were martyrs, their villages would mourn for their brave son who would never return. For they were martyrs, they would give them a final send off with teary eyes. For they were martyrs, their homes would await forever, for the son who gave up his life to protect the nation. 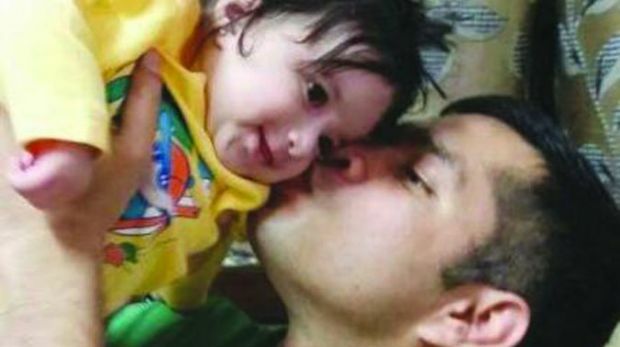 For they were martyrs, their parents would speak of their son with a chocked but proud voice. For they were martyrs, the wife would live with the unending pain of not seeing her beloved again. For they were martyrs, the children would not see their dad again, the legendary tales of bravery would sing them lullaby every night now. 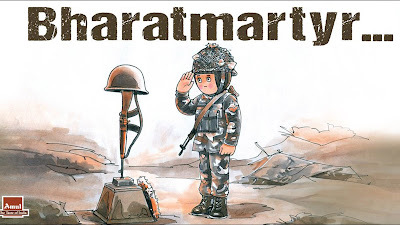 For they were martyrs, the forces would salute the fallen comrades with admiration. For they were martyrs, god will himself come down to earth to take them to heaven. The story behind this- First of all this post is also a salute to the bravehearts injured in the pathankot attacks. This was written after observing the reaction of the public. All social media profiles had flags changed to france when attacks happened there, India went into gloom mood suddenly when the 4 year old syrian boy washed ashore, people debated over intolerance, leaving the country, award wapasi, beef ban, even and odd numbers and all such things but when it came to realise the sacrifice of the soldiers in the attacks, the same public woke up very late, for it’s a known fact that in India a soldier`s life matters to very few people. Thats the double standards we possess, instant reactions for everything happening in the world, nothing when it comes to India. Irrespective of what others do, this post acknowledges the bravery, courage and sacrifice of each and every soldier involved in the pathankot attacks, whether serving or KIA. So true, how people loved flaunting their new-found concern for Paris, etc. That's not wrong, but when something closer home happens, we ought to be more worried!